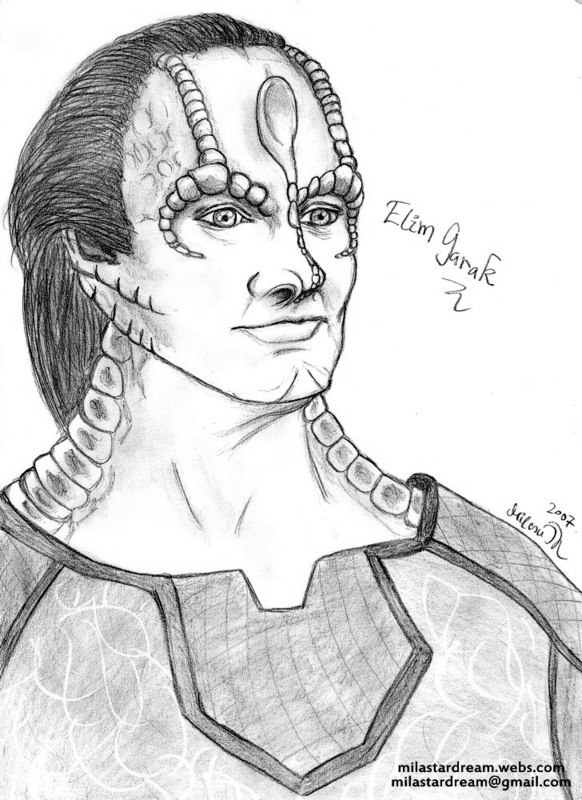 A portrait of Elim Garak, from Star Trek: Feep Space Nine, portrayed by the talented Andrew J. Robinson. Up to this date, Garak is still one of my favourite TV characters of all time. I also warmly recommend Andrew Robinson's book a 'A Stich In Time' to any and all Garak fans. Done on the 11th of April 2007.